Not just what haunts Ash Ketchum's dreams at night, Pica Pica is also the name of the just-opened Argentinian joint in the 'stro, the third Double-P to open in the Bay Area. This one features all the goodness from the Mission iteration plus full dining service and, naturally, new full-size dishes like a steak plate and crispy chicken. 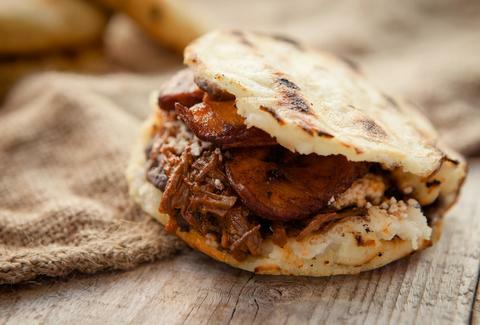 They're also doing shareables like an Arepa Tower made of grilled corn pockets piled on top of each other and filled with stuff like spicy chicken, pulled pork, and "Diablo Queen".